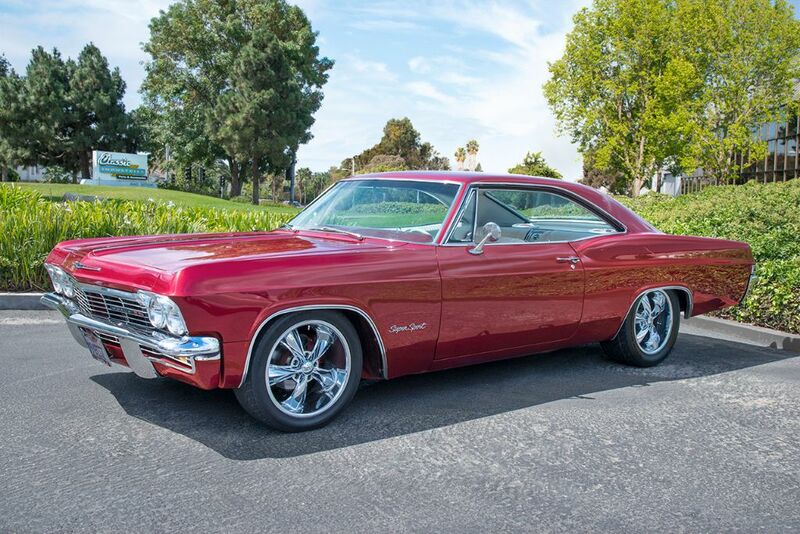 The vibrant red paint and sweeping lines of this Super Sport are simply timeless. 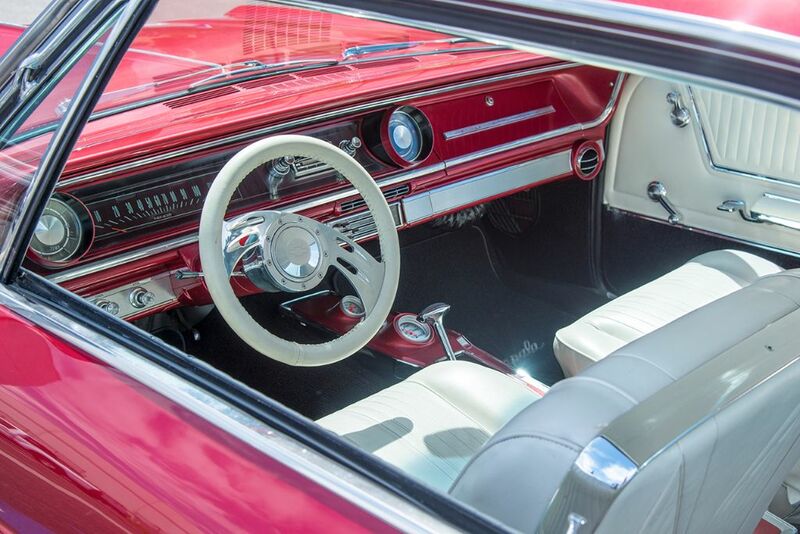 Red and white seem to be a match made in heaven, as illustrated by this Chevy's beautifully restored interior. No matter what your automotive background is, the term "SS" is immediately recognizable as a sign of high performance. Super Sport—it's a name that means exactly what it says. Everyone knows and loves the Camaro SS, Nova SS, Chevelle SS, and El Camino SS, but none of these models were the first to bear the designation. 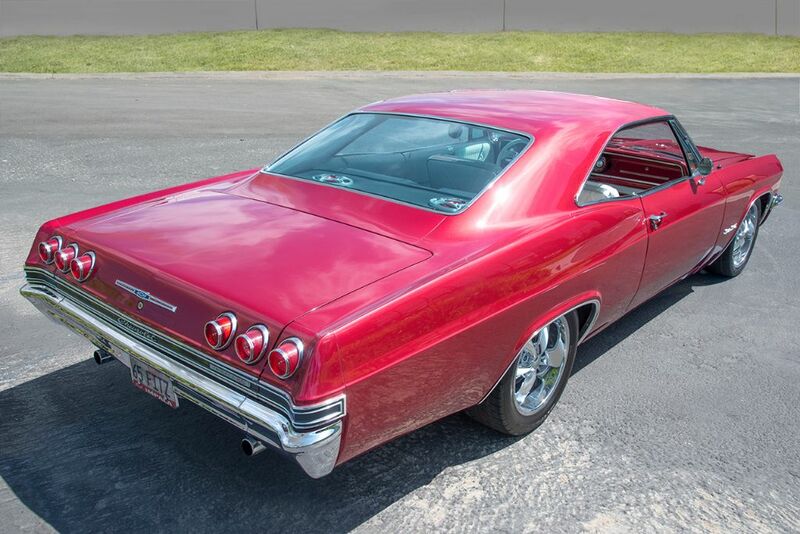 In fact, it was a model that many at the time would have considered to be more luxury cruiser than sports coupe—the Impala. Jim has owned his Nova for over 30 years, and has no plans of letting it go any time soon. We can't blame him, since it's in gorgeous condition and the sentimental value is priceless. One of our favorite qualities of classic cars is the history and sentimental value they carry. 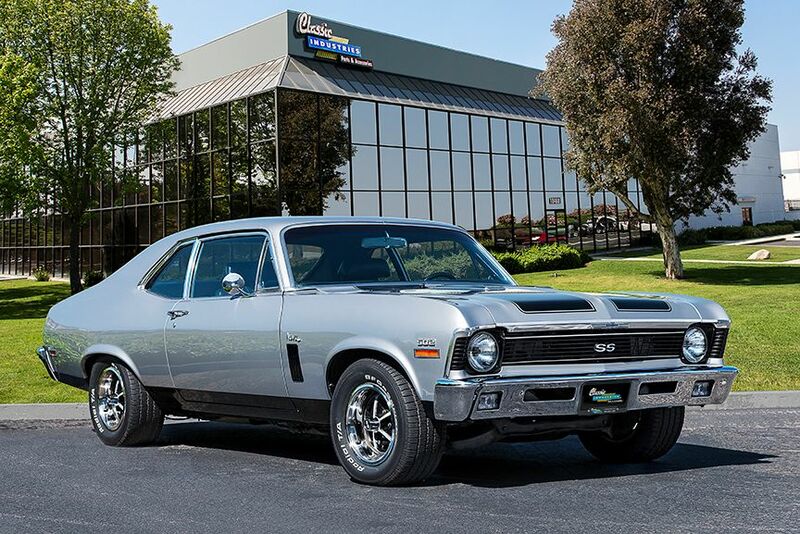 The 1970 Chevy Nova seen here is no exception. Jim Turner, of Van Nuys, California, drove out with his best friend to purchase the car over 30 years ago. Sadly, his friend was killed in a motorcycle accident a year later, but this tragedy brought Jim closer to his friend's family. Soon enough, Jim had married his best friend's sister, and the pair decided to hold onto the Nova and the memories that went along with it. When Jim pulled into our showroom parking lot in the silver and black SS, we knew we had to get a closer look. The car has been beautifully maintained and restored inside and out, thanks to the addition of a few parts from Classic Industries and plenty of elbow grease. Jim cares deeply about this car, and it shows.